Gotcha! Battle menus are high gamma. Thought other way around. Mostly fixed game. And remove debug code. Time to hibernate again some. rudra3-4a + 1016 = Success! All text boxes are now correct gamma! I still need to test boss death effects, but since that was fixed earlier, I'm extremely confident that it's perfectly fine as well. As always, amazing job Sluffy! I was finally able to test the boss death effect, and that is also working correctly! Although, I did notice another issue, unfortunately. It appears that the high gamma shows up when casting a Mantra spell. The battle effect (from the Mantra spell) also displays over the text box as well. Strangely, this issue doesn't happen neither with Operation logic Bomb (USA) on canoe. (laugh) Okay. Rudra. Doesn't show up in emus. Taking a guess by turning off color math. rudra3-4b = No change unfortunately. High gamma and battle effects still overlap the text box. The water now disappears when text boxes appear though, which is kind of funny (bottom right). Also an extra vertical line appears way off to the right of the text box. It's really hard to see, have to look closely (top right, faint white line). Neither of these issues are in 3-4a, only in 3-4b. I think boss death is shared with some mantras. So reworked. rudra3-4c = Better, but still issues. The missing water is now fixed! 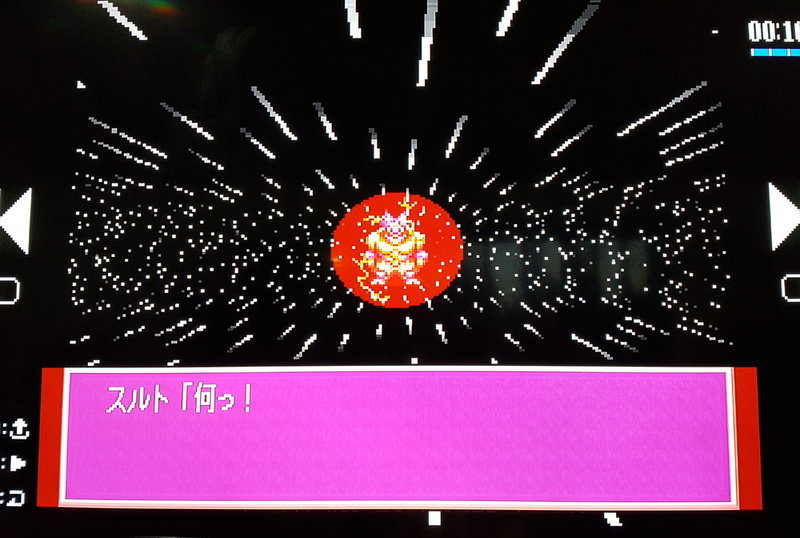 The high gamma/battle effects over the text boxes still occur as well, unfortunately. 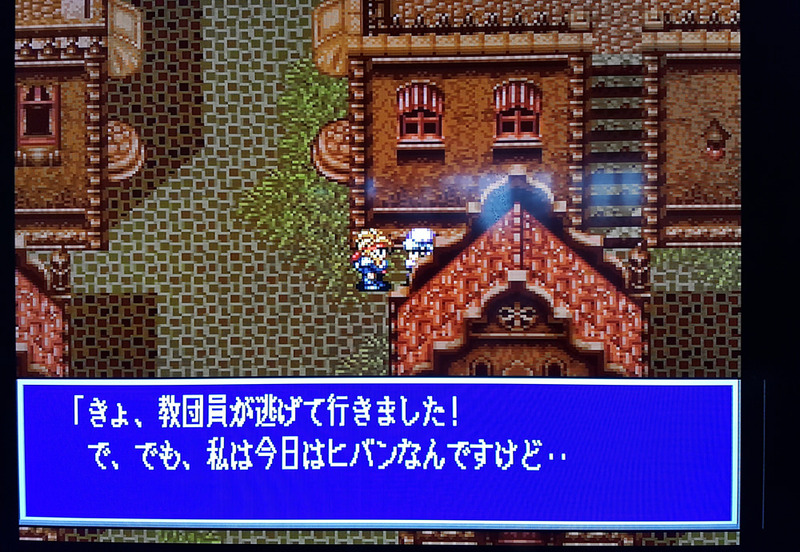 But the phantom line now appears for EVERY text box, and I think the line is more apparent now as well. 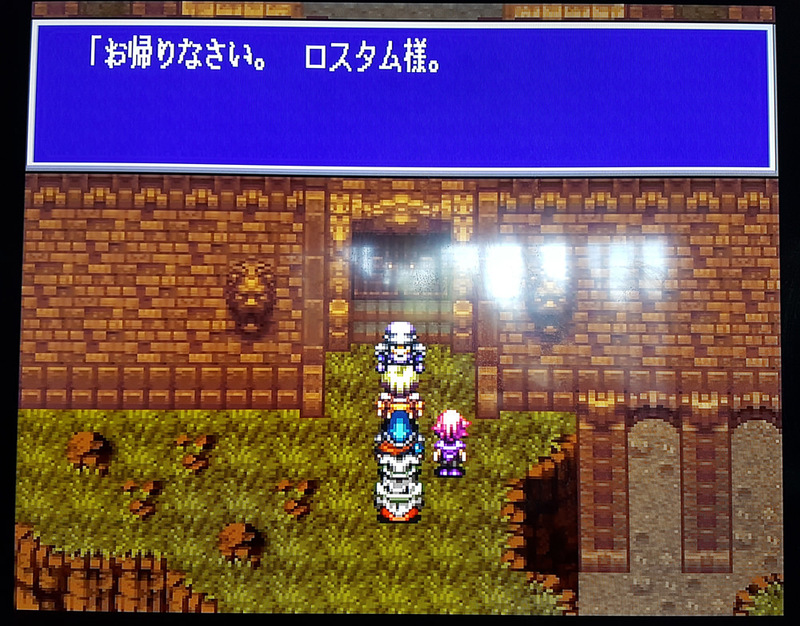 With the previous patch 3-4b, the phantom line only appeared occasionally, like when the text box was on the top half of the screen. I haven't checked boss death effects, just wanted to report this first. Will get to the first boss in a bit. I don't recall the high gamma/battle effects overlapping the text box during that scene with the previous patches though. So I think this might have been introduced with the 3-4c patch for that particular scene at least. Not too sure though. Also, looking at the new pictures again, I don't think it's high gamma. I think it's just another battle effect, a white layer battle effect instead of red. It's probably the exact same as the red layer battle effect I'm assuming. 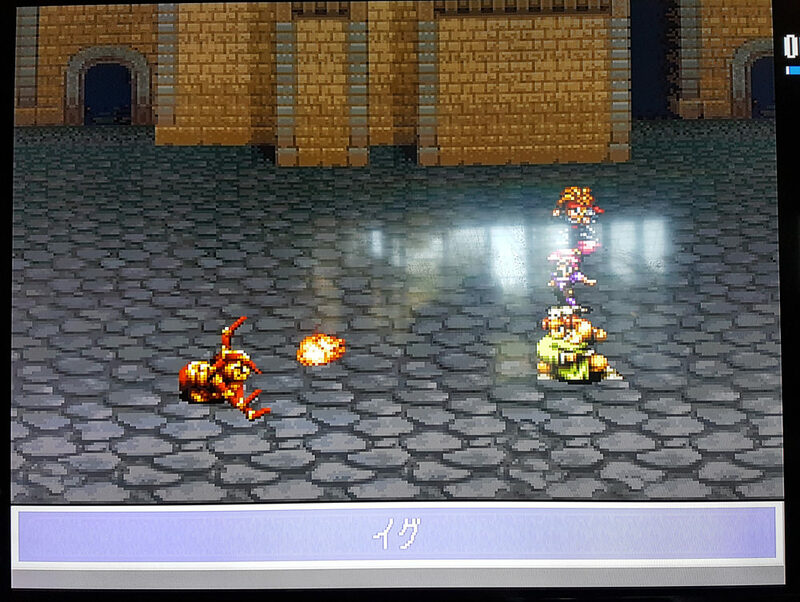 rudra3-4c = Boss death effects are displaying correctly! Since that phantom line was also a problem during the testing of the older 2 series of Rudra patches I looked where it got fixed back then. 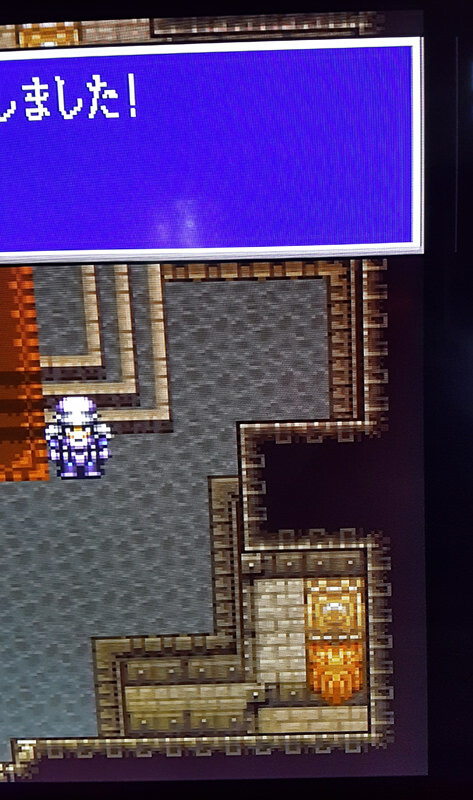 Only the 2d patch (had black menus) the 2e (had discoloration issues during battles however) and the final 2f patch had this phantom line completedly fixed back then. So whatever fixed it got introduced in the 2d patch. Don't know if this is compatible with the new boss dying effect fix though. Patch 3-4a also does not contain the phantom line. 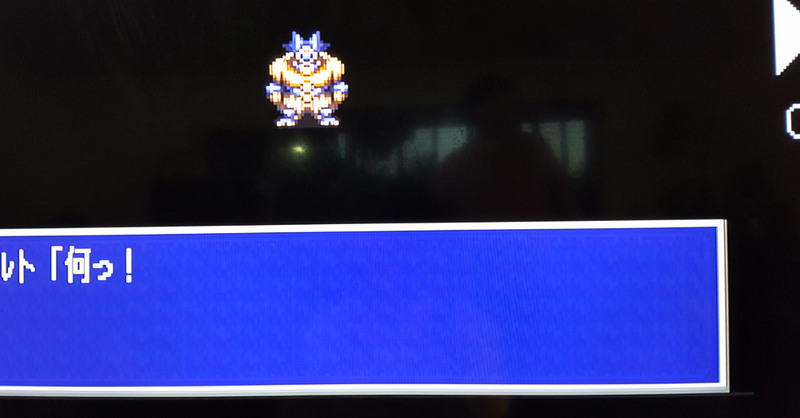 The only issue with 3-4a was the battle effects overlapping the battle text box. But I think in order to fix both boss death effects as well as battle effects over text box requires a new method if I'm understanding correctly. All mantras affected? Heal, Aqua, Bolt, Wave, Fire? Some data on other games are hitting my inbox. Will peruse those. Hey Reyvgm, do you have more Japan games to test?? rudra-debug3 = Some interesting findings! Just like you said, boss death effects are completely gone. But the phantom line is also gone! I never saw it, not even once! Now for the mantras. This is where it gets interesting. I should have tested all of the mantras (from the other storylines) from the start, that's my mistake. It appears that ONLY the single-target fireball Mantra (not sure what it's called since it's in Japanese) is effected by this layering-over-the-battle-text issue! NONE of the other Mantras exhibited this issue! It would appear that this EXACT SAME effect is being used during the cutscene I took pictures of earlier! I think his name is Sion in English, very early into gameplay, just have to walk into the tower. It would also appear that boss-death-effects and this layering-over-battle-text issue are NOT related, or least that's the way it would appear to me. Alright, I think I know exactly what is happening! For every Mantra, the battle-effects are displaying UNDER the battle text box (so you don't see them). For some reason, this is NOT occurring with the single-target Fireball, as well as that cutscene. Go! Go! Dodge League -- Looks fine. Gokinjo Boukentai -- Looks fine. Gousou Jinrai Densetsu - Musha -- Looks fine. Granhistoria - Genshi Sekaiki -- Looks fine. 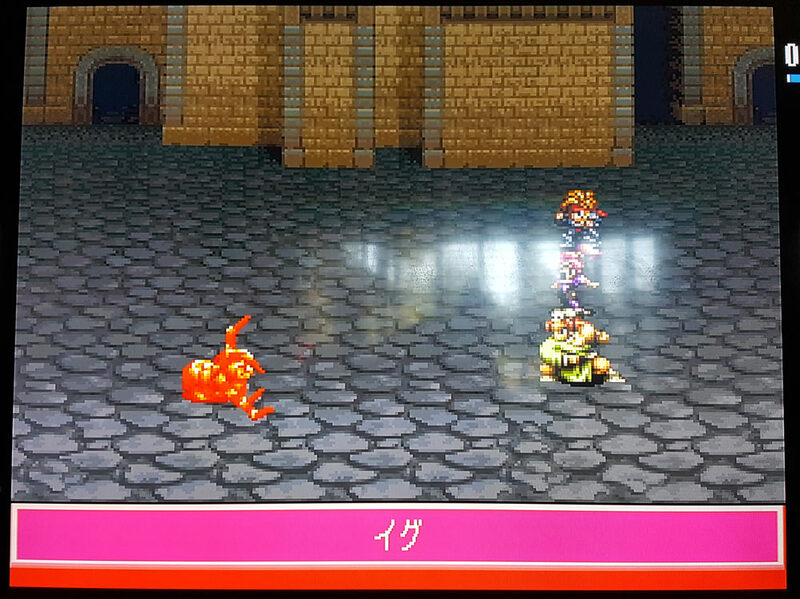 Great Battle Gaiden 2 Matsuri da Wasshoi -- Looks fine. 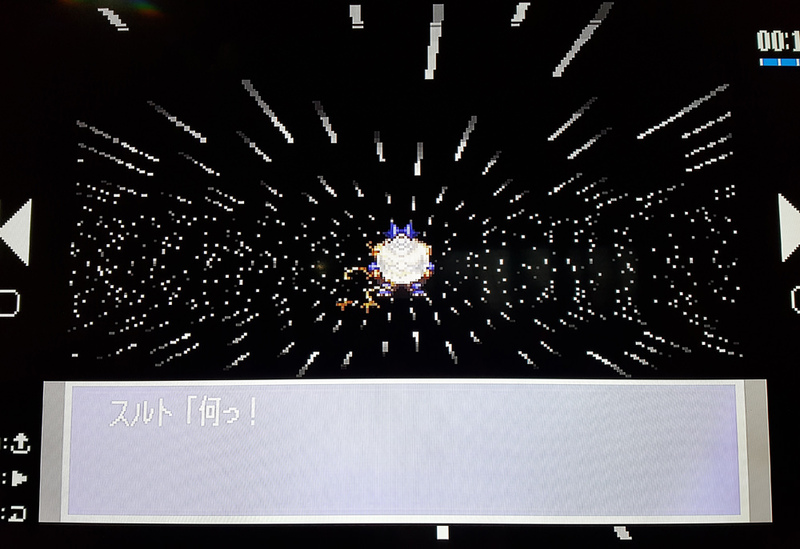 Haisei Mahjong - Ryouga -- It have graphical glitches (https://imgur.com/DebjMWz) and maybe sound issuses (I'm not sure), this is how it should look: https://youtu.be/gulfchz_VDg?t=2m56s. Hakunetsu Pro Yakyuu - Ganba League -- Looks fine. Hakunetsu Pro Yakyuu '93 - Ganba League -- Looks fine. Hakunetsu Pro Yakyuu '94 - Ganba League 3 -- Looks fine. Hanafuda Ou -- Looks fine. Hanjuku Hero - Ah, Sekai yo Hanjuku Nare...!! -- Looks fine. Hansei Zaru Jiro-kun no Daibouken -- Looks fine. Haou Taikei Ryuu Knight - Lord of Paladin -- Looks fine. Harapeko Bakka -- Looks fine. Hashire Hebereke -- Looks fine. ALL TESTS DONE WITH ID 0000. Very well, I prefer to continue doing them as I have always been doing. Just to be clear about it, there are a lot of different animations or sequences of animations for every element depending of the mantra you can invent, so theoritically, a lot of spells can be subject to this bug! • Heisei Inu Monogatari Bow - Pop'n Smash! !